Taste the feeling of Coca-Cola refreshments. Canada Dry Ginger Ale.355 mL.12/cse. Taste the feeling of Coca-Cola refreshments. 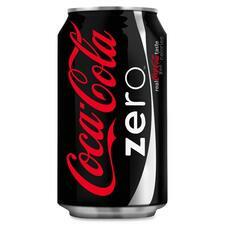 Coke Zero.355 mL.12/cse. Taste the feeling of Coca-Cola refreshments. Coke Classic.355 mL.12/cse. 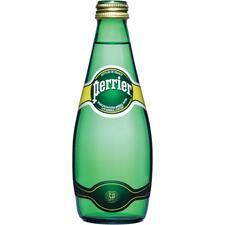 A delicate balance of carbonation and minerals provides this world famous crisp taste. Low in bicarbonate and sodium.330 mL.24/cse. Natural spring water. (Local levies where applicable). 500 mL.24/cse. Taste the feeling of Coca-Cola refreshments. Barq&apos;s Root Beer.355 mL.12/cse. Taste the feeling of Coca-Cola refreshments. Sprite.355 mL.12/cse. 100% pure from concentrate with Vitamin C. 341 mL can.12/cse. Taste the feeling of Coca-Cola refreshments. Diet Coke.355 mL.12/cse. A refreshing blend of real tea and natural flavours. 341 mL can.12/cse. 100% pure from concentrate with Vitamin C. 450 mL bottle.12/cse. A refreshing blend of real tea and natural flavours. 500 mL bottle.12/cse.